As a kid, did you think of animal hybrids, that is fusing various animals into a totally different animals and creatures? Not just us, the history also talks about Pegauses or in other words a flying horse which was probably another attempt to fuse a bird with a horse and enjoy speed and have flying experience. This is just one supposition and there is a variety of thought in our myths and symbolism past. Did you play Black & White as a kid? This video game allows you to create various animals by combining one species with another, and the best thing about it is these animals would have the properties of both species, making them more formidable and vicious, in certain cases. Certainly some of you share this odd imagination, but today we will indulge in that oddness. The animal kingdom consists of various fauna that ranges from wild exotic beasts to common household pets but not animal hybrids. No matter big or small, tame or wild, animals are a gift from God to man. Some animals can be consumed while some others are known to consume us, if we do not look after ourselves. Regardless, animals are a major part of the world. They roam about in the seas and lands, trying to survive each day, just like us. While these animals are all we have, it would be so awesome if we could mix them up together to create whole new species of animals. Thanks to Photoshop, that dream is one step closer. By combining two different animals into one, we get the animal hybrids that have yet to walk the Earth. These hybrids look awesome and mythical, and even though they do not exist, feast your eyes on the awesomeness of the hybrid animal kingdom. Let’s think of animal hybrids and an animal and its guard. Dogs look after the herds of buffaloes. 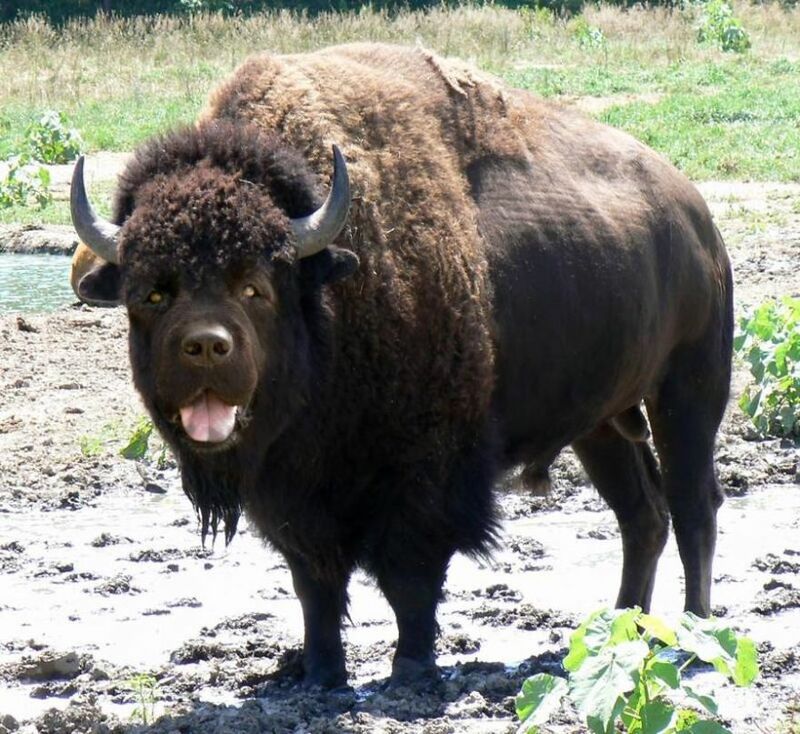 How about thinking that a dog ‘taking over’ a buffalo and vice versa (poor dog) that after a thoughtful fusion between a dog and a buffalo, this animal hybrids seems more playful and friendlier compared to a normal buffalo. With the size of a bison, this ‘dogfallo’ is definitely huge. If you’re planning to have one as pet you’d need a farm. Sounds like a children story that perhaps a marmot, a sort of a squirrel, somewhere helped the wolf or a wolf, leaving aside his nature must have saved a marmot. But no, this attempt made a combination of both but size of marmot remains the answer when a cute wild species came up. This one is really incredible. By mixing a wolf and a marmot, you get animal hybrids, this incredibly cute yet feral little animal. Instead of the normal, docile marmots, this one seems to be a meat-eater. 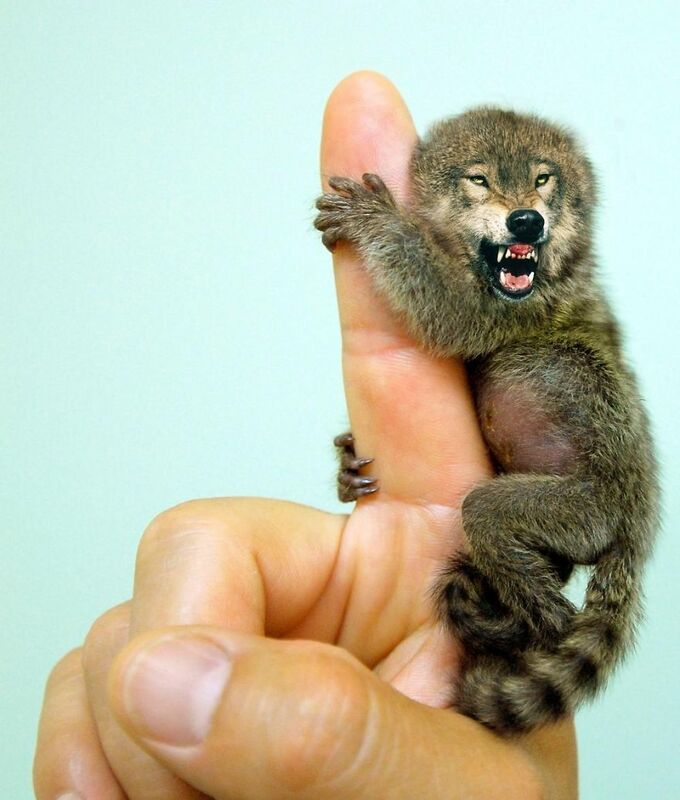 One would need some precautions to keep this one as a pet, but then again, what harm can a rabid wolf the size of your index finger can do? Thinking of animal hybrids and combining a real intelligent bird with a docile animal. 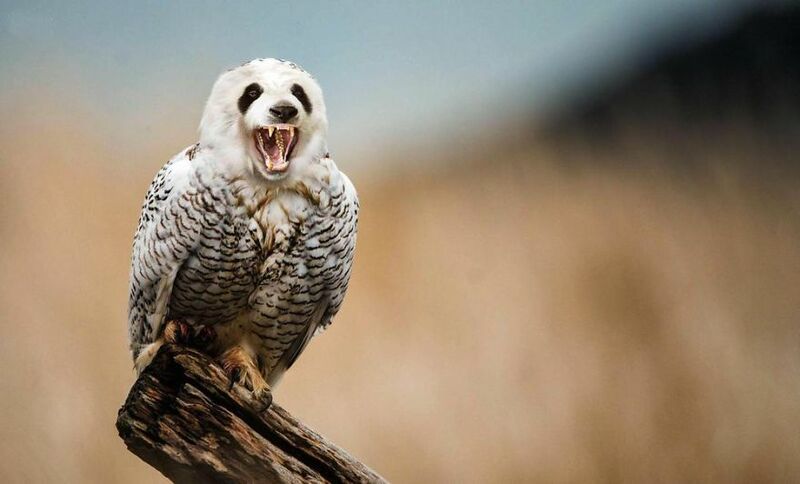 Imagine the thinking and decision caliber of an owl and its night vision capabilities with that of a docile panda peacefully living in jungles. The pandowl, both vicious and majestic in its looks and activity. With its flight capabilities, this animal would be a real threat in the animal kingdom. Since its head is that of a bear, this must be one tough predatorial bird and needs new approach by other animals to save themselves. The majestic bird in sky must have jumped over the hog but mix with that and that is what created something new and interesting. 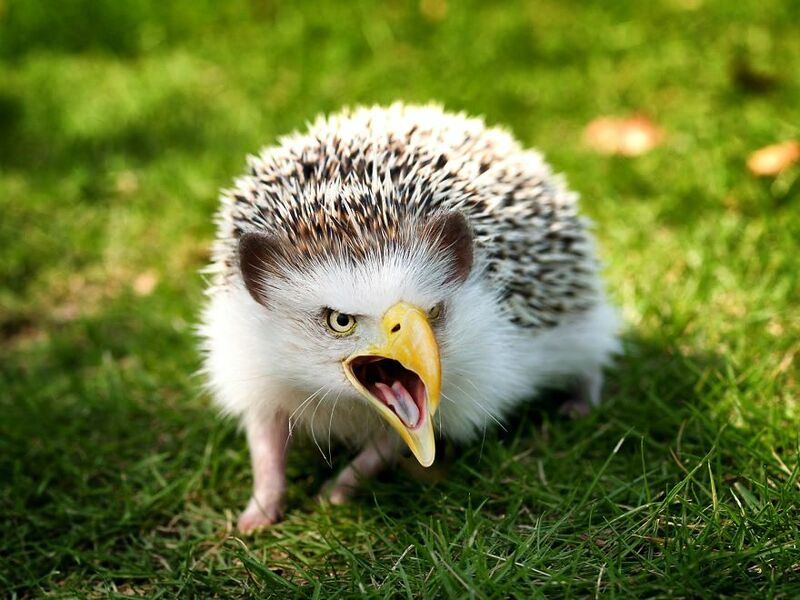 Words cannot probably describe this hedgeagle. Once a majestic bird of the sky, it is now a furry animal hybrids that resides on land. What kind of food it would eat is a real puzzle. May be that will be a mix of something or altogether a new thing to search. Here is another rare combination of a fruit and an animal. 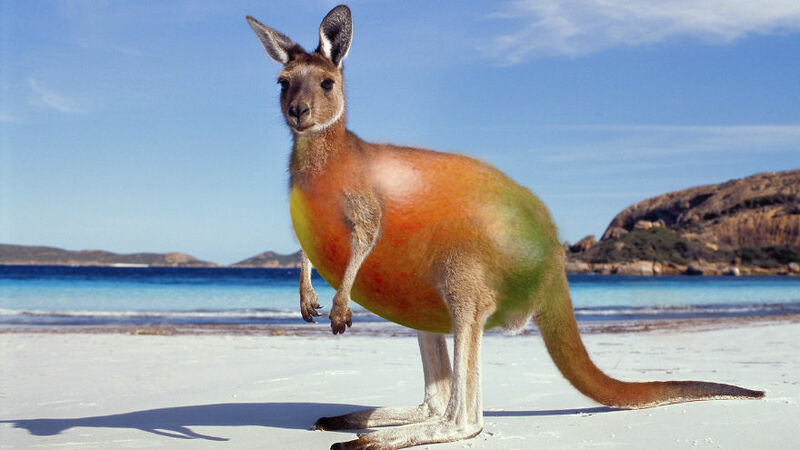 Perhaps the kangaroo opted to ear a belly full of mangoes and mangoes showed signs resulting into change in body of kangaroo. Take home is that animals should only eat what they naturally eat else they should be ready for such a drastic change. The mangaroo, a hybrid between a kangaroo and a mango, the only odd pair in this list. With a mango as its body, it looks heavier and yet healthier. It does not look like it can hop around like it used to though. With that fragile and juicy body it should be careful not to smash itself.